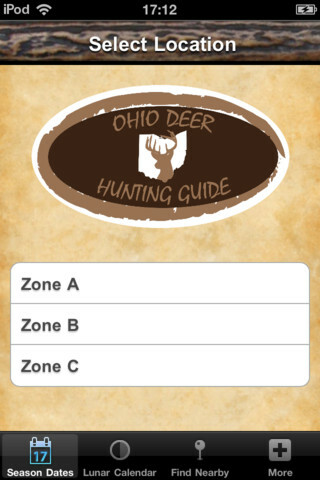 Ohio Deer Hunting Guide iPhone App puts all the deer hunting info into the palm of your hand. Designed with the Ohio deer hunter in mind, this app will help make your next hunt a successful one. To download Ohio Deer Hunting Guide, clink on the icon or iTunes button below, or visit the iTunes App Store on your phone. Ohio Deer Hunting Guide provides Ohio deer hunters with all the information they need for a successful hunt – right at your fingertips!